Eyes can be a real problem area: with puffiness, dark circles, wrinkles, and dryness as common problems. Luckily, there are three main areas you can improve to relax eyes, firm, soften, and hydrate them. Get a good night’s rest. The amount of sleep you get at night plus the quality of that sleep is necessary for good physical and mental health and rejuvenation. The same goes for your skin. The body makes cortisol, a stress hormone, when you don’t sleep enough, and this negatively impacts the condition of your skin and can cause inflammation elsewhere in the body. Collagen and hyaluronic acid necessary for healthy, hydrated, and toned skin breaks down without a proper recharging at night. Fatigued eyes are puffy, discoloured, and fine lines appear worsened. Achieve a better sleep by avoiding caffeine, nicotine, and alcohol too close to bed; creating a comfortable, dark, and quiet atmosphere in your bedroom; and preparing for sleep by shutting off screens and relaxing before bed. Keep a consistent sleep schedule and your body will be used to the same sleeping and waking hours. Use high quality eye care products. There is a difference in the quality of eye care products out there. Some simply moisturize, while others have ingredients that target the specific issues that lead to unhealthy aging, dark circles, puffiness, and flaky skin. There are rave reviews on this eye cream from cult favourite SK-II: LXP Ultimate Revival Eye Cream. It’s formulated to reduce under eye discoloration while it hydrates and firms to soften fine lines and wrinkles. It’s made to absorb efficiently to maximize the benefit of the ingredients and prep the skin for make-up. It also contains Pitera™ a specially-developed ingredient that’s derived from studying the Japanese sake fermentation process, leading to luminous and youthful skin under the eyes. Another brightening and anti-aging SK-II powerhouse is R.N.A. POWER Eye Cream. It also firms delicate skin under eyes with a moisture-packed formula that nourishes for radiant eyes. It smooths fine lines and wrinkles and enhances the surface of the skin by gently tightening yet softening it. The texture is lightweight and creamy and carries a gentle, relaxing fragrance. There’s no need for additional serums or eye masks with this effective treatment. Stay hydrated and eat a well-balanced diet. Cells need water. 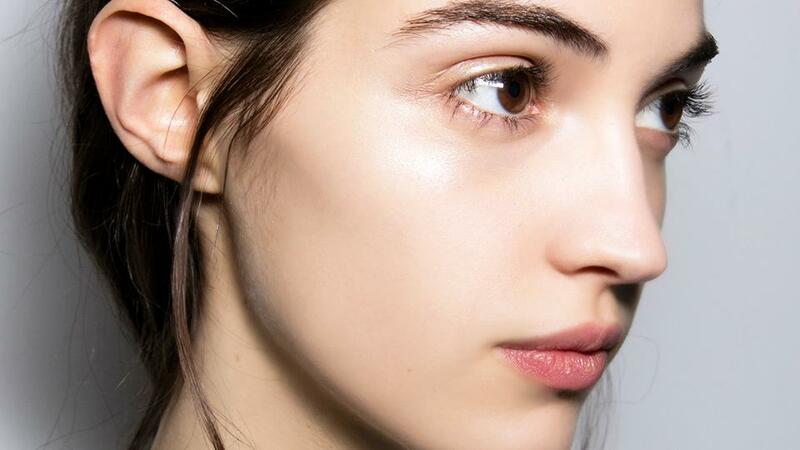 Your skin is an organ made up of cells that require replenishment of hydration. Dehydrated skin is dry, flaky, and tight. Skin that is lacking in proper moisture and elasticity is prone to premature aging. Get enough water by carrying a lightweight reusable water bottle by your side. Flavour it with lemon juice which is good for the liver. Eat foods that are rich in antioxidants. Plant-based foods, especially herbs and spices, contain higher amounts of these free-radical fighting components than animal foods do. It’s also good to use high quality products that feature antioxidants in their ingredients for cleansing and topical action. Combine a regular, good quality sleep schedule, targeted products, and consume enough healthy foods and water, and your eyes will look healthier, brighter, and younger in mere days.